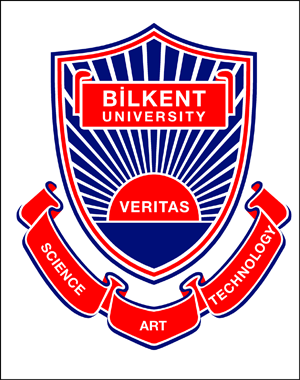 Monday, June 8, 2009: Prof. Dr. Ali Doğramacı, Rector of Bilkent University, invites all conference participants, including accompanying persons, to a reception on June 8, 2009, at 19:00. The cost of the excursion 60 TL is to be paid at the conference office by noon of Monday, June 8, 2009. Thursday, June 11, 2009, 18:00-19:00: Mr. Atilla Güllü of the Library Art Gallery will be honored to see all the participants and their accompanying persons at the exhibition by Demet Karayazıcı. Wine and cheese will be served. Friday, June 12, 2009: Conference dinner at Salus Restaurant in Bilkent (http://www.salusrestaurant.com.tr/) closes the conference in the evening of June 12, 2009. Main dish in the menu is a combination of grilled chicken and steak. Vegetarians should inform us beforehand. The cost of the dinner 55TL is to be paid at the conference office by noon of Tuesday, June 9. Lunch is not included in this price. However the guide will help to find a nice and reasonable restaurant. The cost of the excursion 50 TL is to be paid at the conference office by noon of Monday, June 8, 2009. Note: Female visitors attending this tour are kindly requested to bring head scarves to wear while visiting mosques, due to Islamic traditions.